Hi everyone, today I am pleased to say that I have had the privilege to work with a new self-published author, Ronald Voigts which also happens to be my Father. His first book which he self-published is named "Penelope and the Birthday Curse". The book was first published on June 8, 2011. I have not read the book yet but will soon a do a review. Ronald has been so kind to do this interview with me and giveaway 2 copies of his book. I hope my lovely readers will enjoy this interview and giveaway. Enjoy. THE BIRTHDAY CURSE is set outside the town limits of Dillwood, in a strange old house called the Manor, with a detective who is bold, brassy and only thirteen. Her name is Penelope Amour. Her parents invite family and friends to the Manor to celebrate Penelope's birthday, assembling an odd mix of characters that includes fortune tellers, hoodlums, crazy relatives and a real life drama queen. Complications soon arise when a snowstorm knocks out the power, stranding them in the country, fourteen miles from town. On the morning of Penelope's birthday, they find one of the guests dead. Another guest spins a tale of a triple curse, claiming that two more will die in the next two days. While the adults bumble along trying to find the killer, Penelope enlists the help of friends Ruthie, Wendell and Orson to find the murderer. THE BIRTHDAY CURSE is a blend of humor, cozy mystery and suspense that is a fun read for adults as well as tweens. Hi Ronald (aka Dad). Thank you for being here to do a interview with me about yourself and your new book, Penelope and The Birthday Curse. I am sure my readers would love to know all about your book. I so look forward to reading it but I know you are a brilliant writer. - So without any futher ado on with the interview questions about your book. 1. When did you first start writing your book, The Birthday Curse? And did the idea for the book just come to you? I started writing The Birthday Curse about ten years ago. Original it was a story about a college age woman coming home to a dreary old mansion in the country. As the story progressed the personality of Penelope kept popping through as a thirteen year old, brassy kid that fights for what’s right despite the consequences. The story developed into a group of offbeat mismatched characters stuck in an old mansion during a snow storm in the middle of nowhere and one of them is a murderer. A fourteen year old Fortuneteller spins a tale of a curse where three people will die. Soon, it becomes apparent that Penelope will be the third victim unless the murderer can be found. The adults bumble in the wrong directions, while Penelope and her friends systematically search for clues to find the real killer. 2. Was there any research involved in writing the book? I researched Gypsy customs and beliefs, since the book has Gypsies in it, and learned a lot about curses, Gypsy life and how they view death. Also, I learned about Tarot card reading. At one point I had considered buying a Tarot deck and try my hand at it. Some things in the book are totally fabricated by my imagination. The fun of reading the book is figuring out what is real and what is spoof. Sometimes, I base my characters off of someone I know and other times they come totally out of my imagination. I didn’t plan it, but Uncle Elmer in the book resembles my wife’s great-uncle, Uncle Bruno. Penelope’s father, Gustaf Amour, reminded me of Gomez from the Addams family. In fact during the writing of the book one of my beta readers declared that The Birthday Curse was Nancy Drew meets the Addams family. If my laptop is with me I can write. Most times it’s in the evening hours. I don’t need anything special beyond that, except I do like ice cream and many times break for a bowl of Chocolate Chip Cookie Dough or Double Chocolate Moose Tracks. 5. As you were writing The Birthday Curse did you ever have writers block or did you already somewhat know what the story-line would be before you put the words on paper? Typically I start a story with an idea. After I get into it for a ways, I begin to see the end. Then the trick is to fill in what comes in between. Lucky for me as I wrote The Birthday Curse, the characters took on a life of their own and all I had to do was chronicle their antics. 6. What age groups do you recommend for the readers of your book? 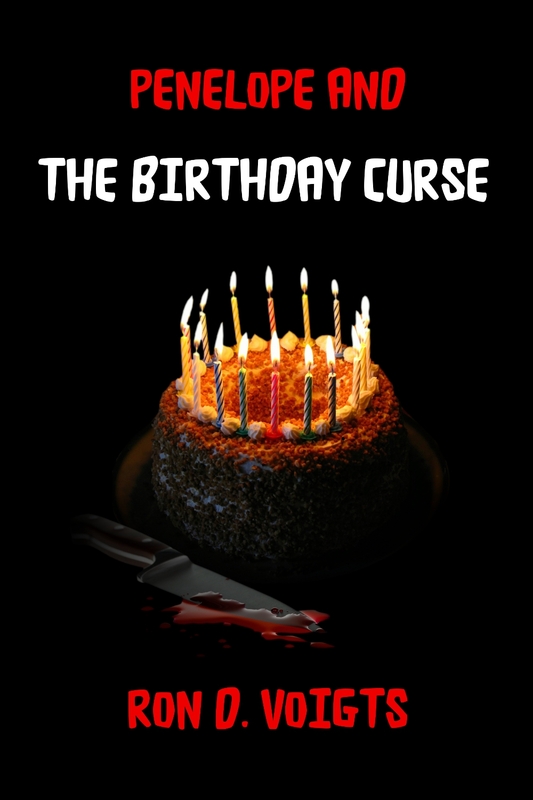 I wrote The Birthday Curse to be read by anyone who enjoys a mystery-thriller, likes to laugh and has an imagination that wants to be fed. Obviously it’s for tweens, ages 10 to 13, and although I fretted initially about writing a murder mystery for this age group, I came to realize that even at these ages kids read books like Harry Potter and Twilight, watch TV shows with crimes and ghosts, and know a lot about what’s happening in the world. I also aimed to entertain young adult and adults. This is a real murder mystery-thriller. The humor in the book is written at levels that will entertain older readers and keep them guessing who did it. 7. What made you decide you wanted to do self-publishing? This book and the sequel, The Ghost’s Treasure, had been with a literary agent for about five years. We had some nibbles and even a few publishers who said they were interested but things didn’t work out. By mutual agreement with the agent I withdrew the books and decided to self-publish. One benefit of having an agent for the books was it confirmed that I could write a good book. 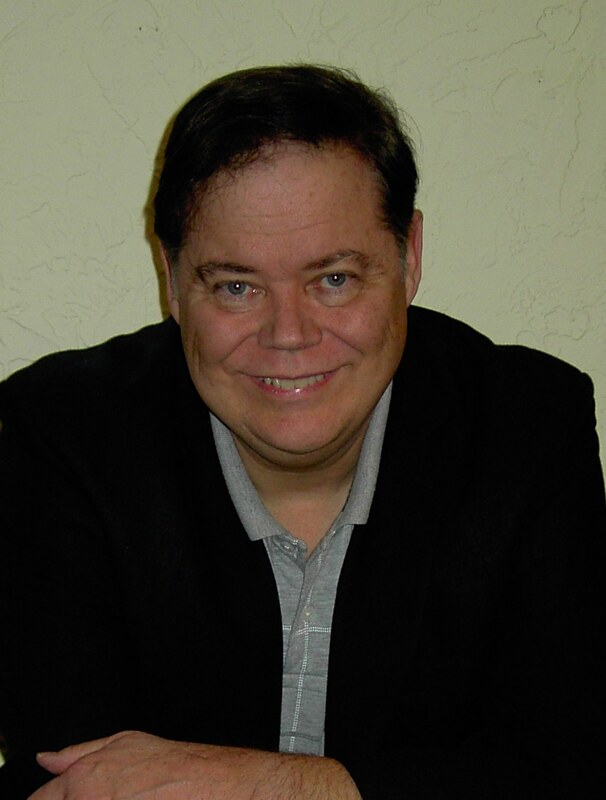 The big difference is self-publishing gave me greater control over the book. 8. Do you have any future plans for writing a new book? Will "The Birthday Curse" be a series? The Penelope Mystery series. The titles are listed as Penelope and…. As I mentioned, The Ghost’s Treasure is the next book. The ebook will be out in the later part of September and the paperback in October. After that comes The Movie Star, due out next spring. And around Christmas, I plan a short story in ebook only, called The Christmas Spirit, which will be a freebie. It’s actually the prequel to The Birthday Curse. Continuity is the hardest part. Keeping it all straight. Also tying up loose ends can be extremely important. I probably rewrote the book no less than a dozen times. 10. Do you have a favorite scene or character from this book? Any why? I loved all the characters and especially Penelope. But here are a few others. Uncle Elmer is a two-bit gangster on the lam from the mob, but deep down he’s a pushover with a big heart. Agnes, the Broadway actress, is totally full of herself, not realizing that her fame is more in her head than on the stage. Father is the easygoing parent that lets Penelope get away with murder (figuratively speaking), and Mother is the no-nonsense, strict disciplinarian. Eleven-year-old Wendell is Watson to Penelope’s Sherlock Holmes. Teal the mystery woman, who always wears sun glasses, speaks in riddles while telling the future with the Tarot cards. As for Scenes, a few of my favorites are the poison cookies, the head rolling down the stairs and the missing birthday cake. 11. Just for fun: If you found a genie and he gave you three wishes what would they be? The classic answer would be to win the lottery, become a famous writer and live forever. The real problem with getting something for nothing is it’s never appreciated and always comes with a price. My real wishes would be to have enough time to write all the stories banging around in my, touch people’s lives and make a difference, and have fun along the way. 12. Do you have any closing thoughts or final remarks you’d like to share with my readers? I wrote The Birthday Curse to be a fun read for all ages. The book is a mix of mystery, thriller and humor that will keep you guessing until the end who-did-it. And the big question is how will Penelope escape becoming the killer’s third victim? Thank you so much Ronald for taking the time do this interview with me. So now comes the extra fun part. Ronald is going to be giving away 2 e-book copies of her book. So please keep reading it you would love to enter and have the chance to read Ronald's book. Please us Rafflecopter to enter. It may take a couple seconds to load. Congrats on the new book. I love mysteries but find there are not as many for a YA audience so I am excited to hear about this one. Congrats on your book it sounds interesting! Thanks for the giveaway.